Pakistan 262 (Ahmed Shehzad 102, Umar Akmal 42, Dale Steyn 6-39) beat South Africa 6-261 (Hashim Amla 98, AB de Villiers 74, Junaid Khan 3-42, Shahid Afridi 2-38) by one run. The Green Shirts smashed 262 runs in the rain restricted match of 45 overs and the Proteas managed 261 for six wickets. 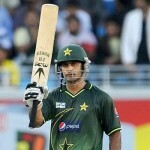 Ahmed Shehzad (Pakistan) was declared ‘Player of the match’ for his brilliant hundred. The second one Day International was held on Wednesday, November 27, 2013, at St George’s Park, Port Elizabeth. Earlier, AB de Villiers, the captain of the hosts, won the toss and invited the visitors to bat first. The decision looked vital when the Green Shirts lost two early wickets for 22 as Sohaib Maqsood got together with Ahmed Shehzad. The duo put their heads down for stability and kept on cruising with the assistance of regular boundaries. Ahmed Shehzad was the most aggressive of the two and completed his fifty with a couple of fours. The partnership was dislodged at 146 when Sohaib Masood was gone for 42. 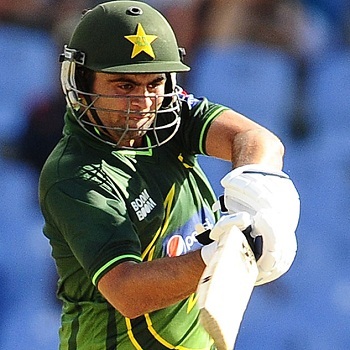 Ahmed Shehzad powered his third ODI ton but was run out at 102 off 112 balls with 2 lofty sixes and 8 fours. Umar Akmal contributed little associations with the lower order batsmen and scored 42 as the tourists were bowled out for 262 in the required 45 overs. 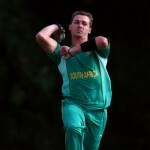 Dale Steyn grabbed his career’s best bowling figures of 6-39 whereas Ryan McLaren and Imran Tahir held one wicket each. Graeme Smith went out cheaply for just one as Quinton de Kock joined in with Hashim Amla. The rival bowlers were maintaining their line and length while the batsmen scored 96 after 21.4 overs. Shahid Afridi dismantled the partnership by removing de Kock for 47 and got the important wicket of Jacques Kallis cheaply. AB de Villiers walked in next, took his time and started attacking at will whereas Hashim Amla reached his 22nd ODI fifty in the process. The first attained his 35th ODI half century with a style by hitting a six and became the next victim at 227 for 74. Hashim Amal kept on creeping but was unluckily dismissed for 98 as the home side required 11 runs to win in the last 12 deliveries. The target was reduced to 9 off six but Junaid Khan bowled a superb final over and restricted the Proteas to 6-261. He was the most successful bowler with three wickets, Shahid Afridi chipped in with two and Saeed Ajmal claimed one. Pakistan triumphed in an exciting encounter with a tiny margin of one run and leads the series at 2-0.